Manufacturing is a major part of the U.S. economy, responsible for 12.5 percent of gross domestic product (GDP) and supporting 17.4 million U.S. jobs. Maintaining a strong industrial sector is critical to ensuring our future competitiveness, and making better use of data and analytics is key to building a healthy manufacturing industry. Major nationwide initiatives such as the Obama Administration’s National Network for Manufacturing Innovation (NNMI), a cadre of research institutes to develop advanced manufacturing technologies, have acknowledged just that. “Smart manufacturing,” as this approach is often called, could create $371 billion in net global value over the next four years, according to a 2014 estimate from the market intelligence firm IDC. It could also help make U.S. manufacturers competitive in the global economy in three main ways: streamlining the design process, improving factory operations, and managing risk in the supply chain. Data can support manufacturing innovation from the very beginning of a product’s lifecycle. By helping inform the design process before any physical product is created, data-driven design can cut costs and ensure that final products will be better aligned with customer preferences. For example, Autodesk’s computer-aided design software has been popular for decades, but the company is now working on an even more data-driven approach with its algorithmically generated design research initiative Project Dreamcatcher. That effort, which will eventually be integrated into the company’s other products, allows designers to generate designs based on a list of material and performance requirements, which can then be additively manufactured with a high degree of precision. Vehicle manufacturers such as Volvo and McLaren have taken a simulation-based approach, with McLaren conducting performance analysis on its designs before creating a physical prototype, and Volvo integrating customer data to forecast whether a particular design or feature will appeal to its customers. Data-driven design has become a standard practice in other fields such as web design. Manufacturers stand to benefit if they apply it more comprehensively to their own products. 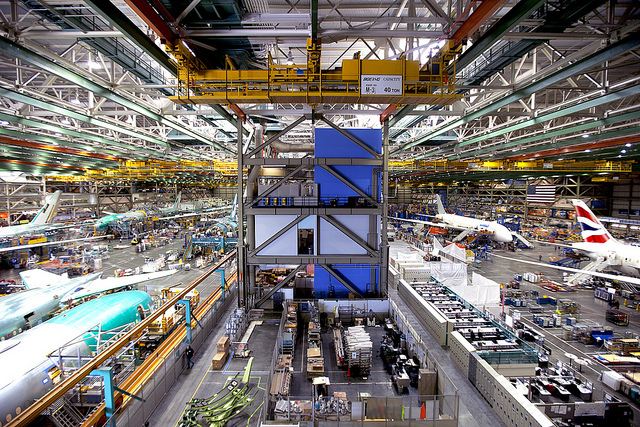 Manufacturers can also use data and analytics to improve operations on the factory floor. The explosion of low-cost sensor technologies (i.e. the Internet of Things) has made nearly every manufacturing process and component a potential data source. Innovative manufacturers can use the resulting data sets to gain insights about the physical fabrication process, improving efficiency, increasing yields, and reducing product defects. Raytheon famously keeps track of how many times a screw has been turned in its factories, and other companies are working to collect as much detail about their own processes. Harley Davidson, for example tracks fan speed in its motorcycle painting areas and can algorithmically adjust the fans based on environmental fluctuations. Merck improved one of its vaccines by conducting 15 billion calculations to determine what environmental and process factors influenced the quality of the final product. Intel uses predictive modeling on data to anticipate failures, prioritize inspections, and cut monitoring costs at its chip manufacturing plants. With so many potential variables to track, no longer should “too little information” be an excuse for waste and loss in the factory environment. Finally, data analytics can help manufacturers manage their supply chains. The interconnected nature of industrial supply chains makes them hotbeds for risk, and more information can mean the difference between a recall and a successful shipment. GE Oil and Gas now uses a cloud-based supply chain data platform to manage its materials, equipment, and services. The real-time system, now deployed on five continents, was created to contend with the high cost of downtime at oil fields. HP integrates network analysis into its supply chain monitoring. Their approach, which also includes data visualization, has reduced the time required for supply chain optimization projects by up to 50 percent. The National Institute of Standards and Technology (NIST) is working on a project to develop standards, methods, and protocols for manufacturing data analytics, a key motivation for which is the increasing demand for more comprehensive supply chain intelligence. Even with data-driven factories and design studios, manufacturers will not be able to rest easy until their supply chains are subject to the same level of monitoring. This article originally appeared on the Economics & Statistics Administration Under Secretary’s Blog in the U.S. Department of Commerce. Under Secretary Mark Doms serves as a top economic advisor to the United States Department of Commerce (DOC) and the Obama Administration. In this capacity, he contributes to policies and discussions on a wide range of issues including data, trade, manufacturing, taxation, innovation, competiveness, retirement security, immigration, and education. Dr. Doms also leads the Economics and Statistics Administration (ESA), which includes two of our nation’s preeminent information agencies: the Census Bureau and the Bureau of Economic Analysis (BEA). These agencies collect and produce information on the United States’ dynamic population and economy, providing vital data to our nation’s citizens, businesses, and leaders. The Census Bureau and BEA have a combined staff of over 10,000 and a budget exceeding $1 billion.